Today, we woke up at 12:00 p.m. because we were adjusting to the time change. 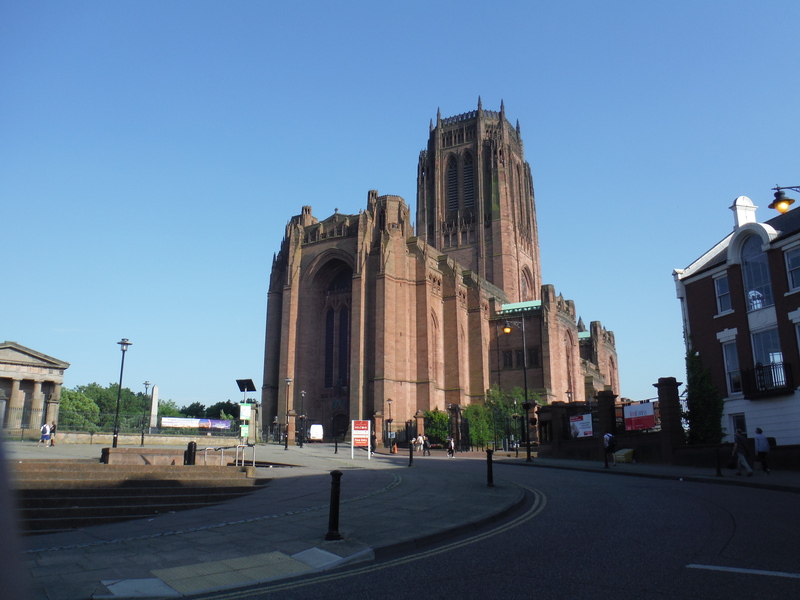 We went walking in the city for about a hour and a half and then went to the Museum of Liverpool. 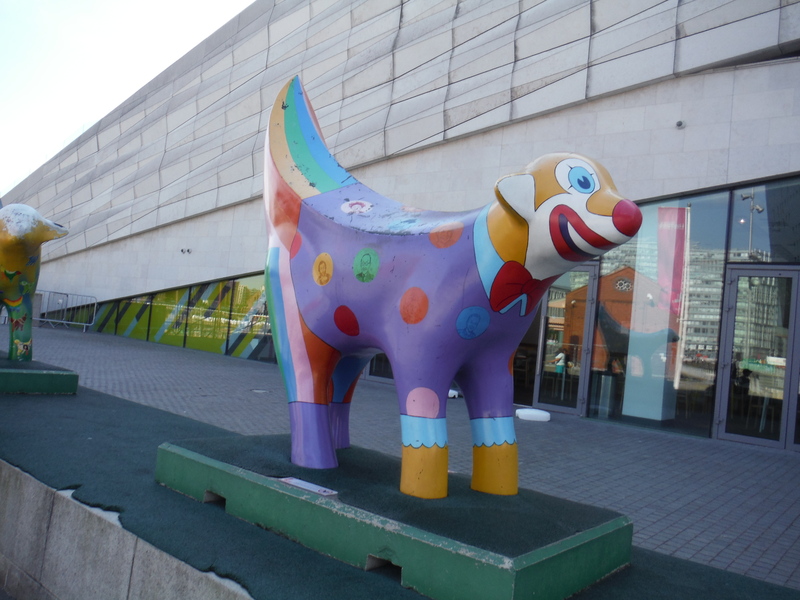 While we were there, we saw four cow like sculptures called “Superlambananas”. 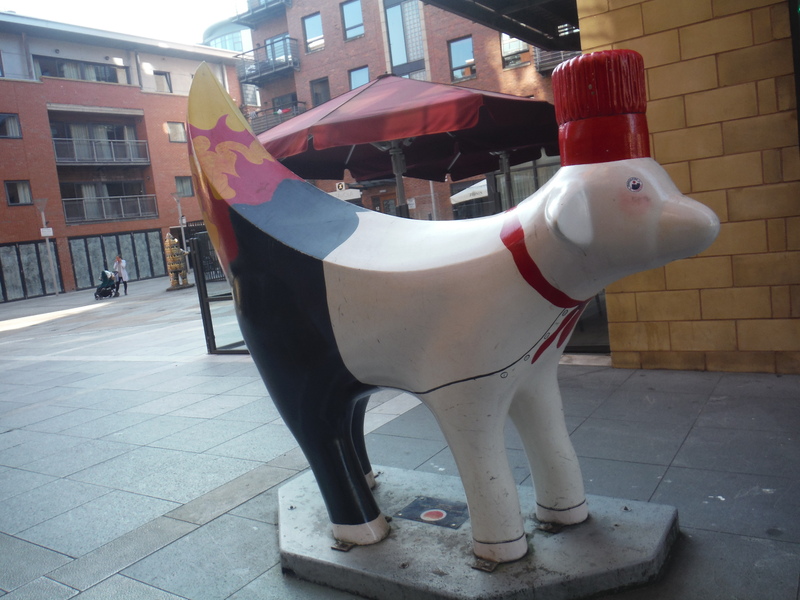 One of them was a chef with a flame tail, another was a clown, one had a lot of mini superlambananas on it, one with a lot of nature on it like a pond and a tree, and finally one with a military jacket on it with flowers. My mom said they look like the cows in Chicago that use to be everywhere in the city back home. They have these everywhere and call it street art. 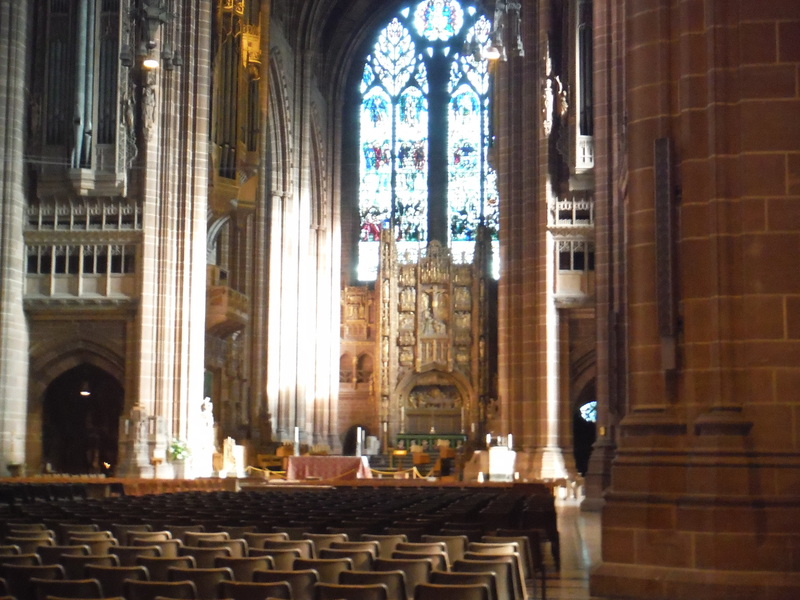 We walked past four cathedrals today and went into one of them called the Liverpool Cathedral. When we went inside, we took an elevator up to the 10th floor and then had to walk 108 more steps to the top. The views were amazing and breathtaking. The stairs were very steep and I got very nervous because it was very high in the air. Grant was not happy with how high it was either! 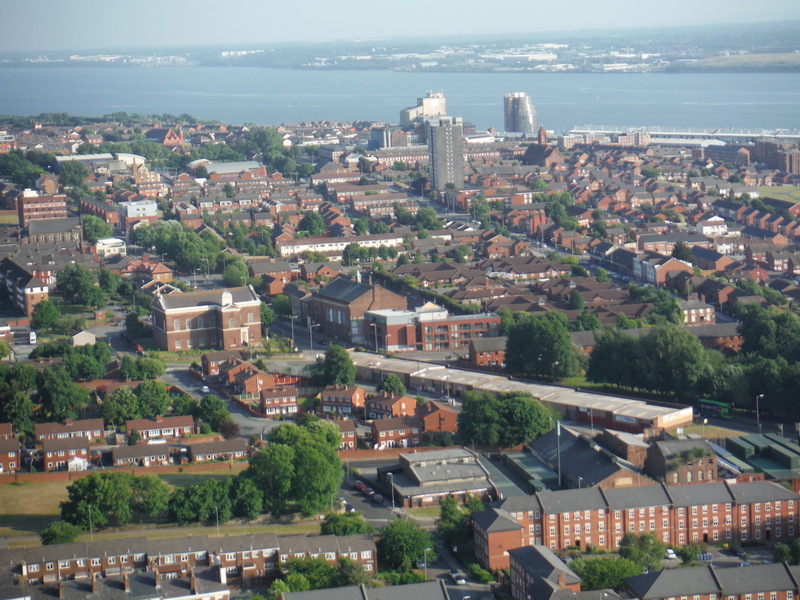 After viewing the skyline of Liverpool, we went back to the 8th floor and watch the bell ringers ring the giant bells and they let us try mini bells but of course they were not the actual ones. A ringer taught each of my brothers and I how the giant bells work and how they ring them. There is a lot of Beatles shops in Liverpool and one was literally called The Beatles Store. I love this place because I love the Beatles. I also love this place because the people who live here are very nice and friendly. My mom and I went to a bookstore today in addition to a music store. Grant got some piano music books including one with Beatles songs! It was an amazing day! Tomorrow, we get to go on a sightseeing boat and bus. This entry was posted in Blogs by the boys, Caden, European Adventures, Family, Travel and tagged Caden, England, European Adventure, Liverpool. Bookmark the permalink.